Movin' On is Craig Hospital's bi-yearly magazine publication about what's new at Craig Hospital. 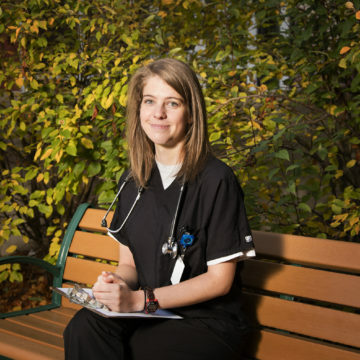 It features stories about our alumni and resources for Craig patients and graduates. This issue features the wedding story of Kaleb and Brittany Wilson.